Rides are a huge drawcard at The Great Fete, with hundreds of families flocking to carnival rides, jumping castles, slides, laser tag and bungee trampolines on the School's scenic oval. The Fete is known for having the best carnival rides in the district and this year is no different! 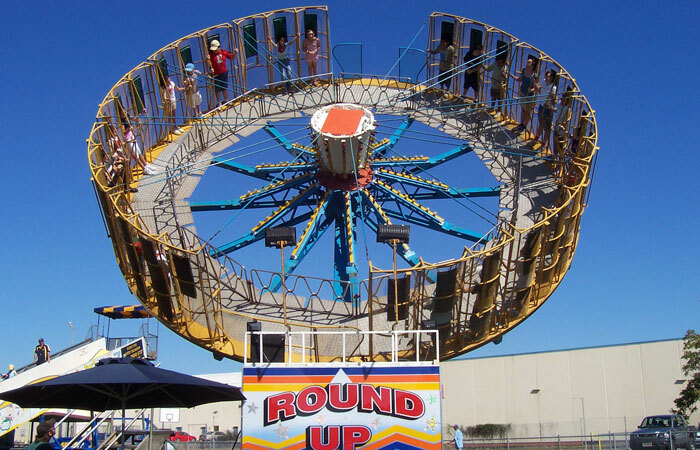 Jubilee Amusements will supply rides for all ages including: Dodgem Cars, Sizzler, Roundup, Zoomer, Teacups, Storm, Crazy Wave, Pirate Ship, Wizard Flight, Giant Slide, Inflatable Slide, Jurassic Park, Jumping Castle, Train, Laser Tag and Bungee Trampolines. Buy individual tickets for $5 a ride or buy an armband for unlimited rides for just $40. Rides will operate from 10.00 am till 3.00 pm. from Kidz Zoo. Entry included in the unlimited ride armband, otherwise individual ride ticket required. Come and see Bob and his Australian reptiles for this multi-award interactive learning experience. Entry included in the unlimited ride armband, otherwise individual ride ticket required. 9D Cinema is an Ultimate Virtual Reality Experience. Watch 3D Films with Synchronised Movement. Feel Wind in Your Hair or Rain on Your Face.